The Israel Ministry Tour in November was a huge success! Our time of planning was so extensive and yet our initial arrangements morphed and changed so much from the early stages of our original thoughts. As we made the journey and the sacrifices to make it - it was so full of great reward for everyone involved! Meeting new people, making new friends and seeing new sights in Israel deepened our appreciation again for our roots! Of all of the previous tours through Israel for me, this was the highlight tour because it was customized! I tried to be very selective about where we went and what we were doing and just what to leave out!? Our connection with Edmonds from England was at the airport. Steve and Stephanie were easy going and easy flowing people full of the Holy Ghost. They are also the section leaders over home group ministry at their church back in England. They are truly mothers and fathers to many! We all just loved them and they loved us. We had a wonderful tour with them on the team! Raquel DaSilva's flight was delayed. She came the next morning at 5 am. She ended up spending a night in Madrid and making some friends with some Jewish couple who paid her way and escorted her through the city on a whirlwind evening tour to see Madrid. She enjoyed that. She then joined up with us early Tuesday morning the first day and roomed with Lise Strobel. Mark Ellis had his very first trip overseas and Ken Kolund his first trip ever to Israel (which has been a life dream for him) The weather for the entire time was perfect- around 70 degrees! It only rained the day we left. My mom was escorted to Ranana the first day with Darren and Alison. They then met up the next day and spent the next three final nights in Jerusalem at the Regency hotel with us. We kicked off by our first 4 days being in Jerusalem. That was good timing because of certain events going on in the city that stirred up the religious crowds. We did a lot in the Old City and got to go to the garden tomb and share communion together with our team. A small riot ensued right outside of the peaceful garden with a 'gay parade' being the big offense to the Hassidic Jews and they made their feelings known. We left there the day the 'gays' were supposed to have their city demonstration. We were onto Tiberias. We traveled up the east coastal highway seeing a lot of Jordan. We stopped for a pictures and Ali took a camel ride! We then saw En Geddi where David ran from Saul and hid in the caves. All in all we made contact with 6 ministries while in Israel: Mizrachi's, Hilsdens, Ezagouris, (Also a Switzerland pastor too) and our friends Moshe and Golani, Rawlings and then the Ghanan community through the embassy representative we met in Tel Aviv. Our first day was set up to meet with two ministry leaders. We first drove to Tel Aviv to meet native born, Avi Mizrachi. Our whole group met the 'outreach' oriented messianic congregation. We had an great rapport with them. They described their ministry to us and gave its history and gave us a tour of their facility. They were very similar to our ministry even having a coffee bar ministry and outreach. The pastor Avi, was a Christ for the Nations graduate and was very relational and interested in building a relationship. His wife was a Jewish believer from Florida. Her name is Chaya. She was very bubbly personality and friendly. They invited us back for the weekend service and offered the opportunity to give greetings and share in the service � but we knew we wouldn't be able to because of being in Tiberias for the weekend. They want to stay in communication. We then ran into Stuart, Avi's associate pastor while out on the BOARDWALK when back in Tel Aviv on the end of our trip! We sat and talked with him for another half hour. After our whole group spend time with Avi and Chaya over hot tea that first day...we went back to Jerusalem. The group all went to Yad Vashem, the Holocaust Memorial. Dennis and I met, toured and had lunch with Wayne and Ann Hilsden from King of Kings Church in Jerusalem. They had told us that Jay Rawlings spoke highly of us. They were very nice, business like people. We were really impressed with their incredible and miraculous financial situation in obtaining their facility. They purchased and restored a movie theatre in a shopping area in downtown Jerusalem. It was very upscale! Not churchy at all. Great architect and designer. It is now called the Pavillion and is a community oriented meeting facility that they lease to the government and to other ministry leaders! (BTW- Morris Cerullo rented it out while he was there! So�for the future- we know of a great place to rent- it seats 700! Whoa) They meet there of course too. It is a well thought out plan. They just purchased (this year) the TOP FLOOR of this high rise building and turned it into a PRAYER TOWER. IT was really a spectacular view of all of Jerusalem. They are quite proud of themselves (and should be!) The wife, Ann seems very administrative too. She is the worship leader there. They are a good looking couple with a relevant working ministry. He is a researcher type of pastor. We had a good rapport. We listened to them primarily. Most ministries there are wanting support from the states obviously. It was a good connecting point in our conversation when I asked him, if he'd ever read anything by Joel Rosenburg. (I am reading a great book by him�called Epicenter- ya must read) He was taken back and said, "We just had him in our church on Sunday! And we're having him again next week!" SO � I believe that they will read our network news, our leadership books etc�and be greatly blessed and challenged! They were surprised when we bought lunch- they were planning on buying ours. Then on Shabbat- we went to Claude Ezagouri's fellowship in Tiberias with our whole group. They are now called Morning Star Fellowship. They had two guests in from Switzerland and Canada. Good messages and even reference Christ's FINISHED WORK! We left them a bag of books and also sent them with the Switzerland pastor. We feel like it was a good accomplishment that we stayed for the whole service even though it was two and half hours! Our other important contacts were�.our two taxi driver friends. You remember Moshe and Golani right? Well�Moshe has grown and so has Golani. Moshe is hosting weekly meetings and the group is growing. It is many of the Russian Jews and the guys that are rough around the edges. He takes food and clothing to them weekly to help them get on their feet. We had a very significant ministry time with all of them in the JEWELRY STORE that Jonathan operates. We were there. Its where we got the roman glass. Everyone got personally ministered to and prophesied over! Moshe was very blessed to get all the books and began reading some of them already. We went to Masada, swam in the Dead Sea, went through the underground tunnel in Jerusalem for the first time. That was really cool. Ken Kolund was baptized in the Jordan River. He was really blessed by that. One of our last encounters was with the Ghanan Embassy representative, Eric who stayed in our hotel in Tel Aviv. He asked Dennis to give him some counsel. We gave him many books and tapes too. Some of my favorite things were seeing the Golan Heights overlooking the entire sea of Galilee and hearing the very strategic significance of Israel having it back since 1967! Also seeing Haifa was awesome too. We spent the last day winding down and getting to eat on the beach, shop in the Jaffa and Carmel Markets in Tel Aviv. It was a lot of fun. It was exciting to see how impacting it was for each one of our team members too. We feel and know that a lot was accomplished and know that getting those valuable resources into the hands of the ministry leaders was very significant! Our hotels were awesome! Of course so was the food! We were seaside in Tiberias and Tel Aviv. We believe we will have a great opportunity to minister in Israel increasingly! We are walking by faith! 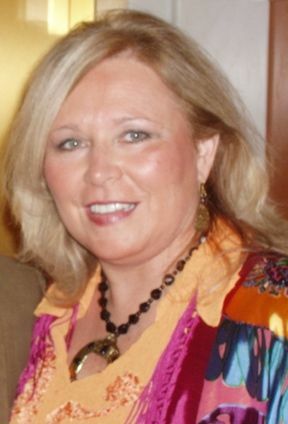 Denise Capra, along with her husband, Dennis, founded Faith Ministries World Outreach Center in Kansas City. Together this enthusiastic, focused ministry duo work together as a team training leaders, evangelizing and teaching all around the world. They also travel and serve on the leadership team of FMIN along with the Duells, and serve as directors of world missions.